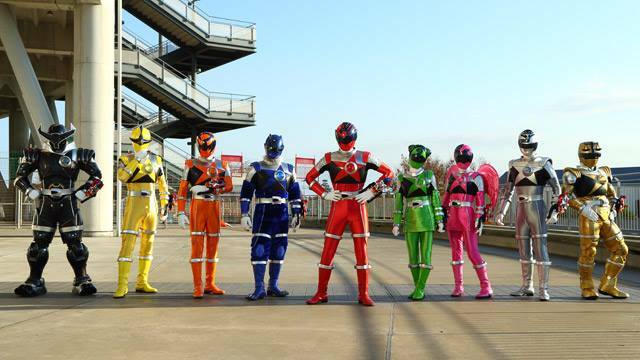 The excitement for the next Super Sentai team's upcoming series is building-up to the highest point of awesomeness! For now, check out this new still images from the Dobutsu Sentai Zyuohger VS Ninninger movie featuring the debut of the Kyuurangers! 1st images shows us all of the Kyuurangers aching for some action, while in the 2nd image, we can see that Shishi Red is about to summon his weapon from his Seiza Blaster and lastly, armed with his Kyuza Sword, we can see going against Azald! Battle kozak, ToQ-6go, Zyuoh bird.. Aren't they orange colored? You forgot them..
@DP: Wrong. 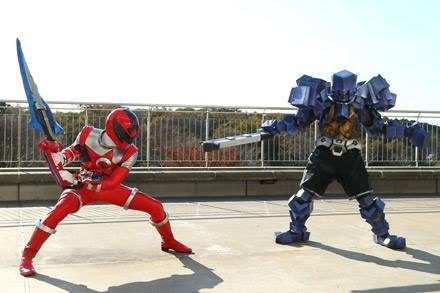 Orange Rangers were last seen in Dekaranger and ToQger, and even way back to Battle Fever J. Although, this would be the first regular orange Ranger since Battle Fever J where the other two were extras. Yea, hope they don't skip this one. 1. they appear to be skipping every other sentai season. skipped gobusters, did kyoryuger, skipped toqger, doing ninninger. That means zyuohger should be skipped, which is probably for best as i dont think the cube mechas would sell well in the US. 2. Aside from mighty morphin, power rangers seems to do best with space-themed seasons; most notably dekaranger/in space, gingaman which they changed heavily to make a space season with lost galaxy, and SPD were some of their strongest seasons. The only negative is they went to the space well WAAAAAAAYYY too often recently with the villains as megaforce, dino charge and upcoming ninja steel all have aliens for villains. 3. TOYS. I cannot see saban and bandai passing up an opportunity to sell this many toys. We are going to have at least 9 rangers, and probably more if they fill out the rest of the constellations. theres going to be tons of zords, and space theme weapons will sell well in US. considering the space-heavy theme of the upcoming MMPR reboot movie this is just too lucrative to pass up. I feel like people read only half of a post before responding. Geeze. So why is Shishi Red wearing the Thundercats logo on his head? A purple ranger maybe? Or a white? Or grey? 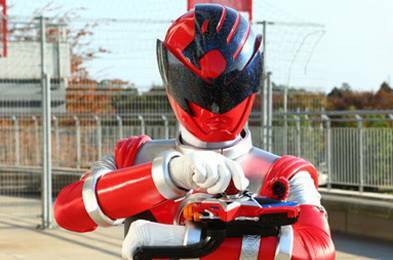 The Kyuza weapons are very much like Gingaman's weapons each ranger has their own configuration and they only need to sell 1 toy for all of the ranger's signature weapons. @DP Cat Ranger from Power Rangers SPD is kinda Orange...? Boom (ofc unofficial) the SPD Orange Ranger. Hey at least they try albeit parody. Deka Swan and Geki Chopper are both debated widely. Many consider them white, and many consider them orange. I personally consider them both white.